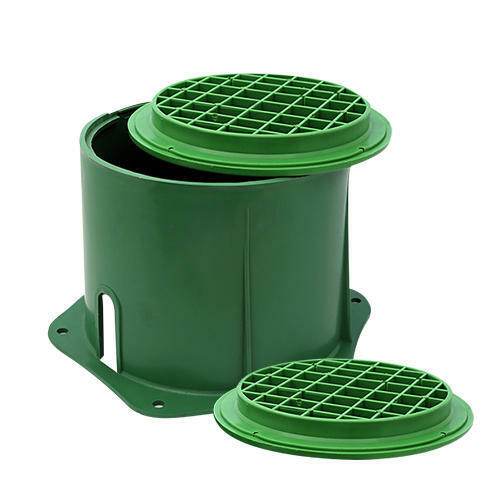 We offer our valuable customers a wide range of Poly plastic Earth Pit Cover. These products are manufactured using premium quality raw material using latest technology . Offered products are manufactured under the direction and supervision of our quality check experts which ensure that they deliver only good quality products to our customers. We also offer lightning risk assessment, surveys, installation & maintenance services, maintenance free chemical earthing, Jamweld (Exothermic Welding) and also imports ESE system active lightning arrestors & surge protection and their associated equipment. Our products have great resistance to corrosion. These offer security of high standards by drastically nullifying the effects of lightning. Our products comply with industry standards and are fabricated with the use of high grade alloys and other components. These get tested by CPRI and other leading European standards. Our range of products such as lightning protection finds application in many industries and other commercial setups. To conform to the specific requirements of our clients, our products can also be customized.